Equestrian Center - Pineland Farms, Inc. The Pineland Farms Equestrian Center is a state-of-the-art facility that breeds, promotes and trains quality Morgan horses. We also host horse and livestock shows and other special events throughout the year. Open Daily 8am-1pm. Located in the beautiful rolling hills of southern Maine, Pineland Farms is home to a world class equestrian center which includes indoor and outdoor arenas, stabling for 30 horses and housing for athletes. 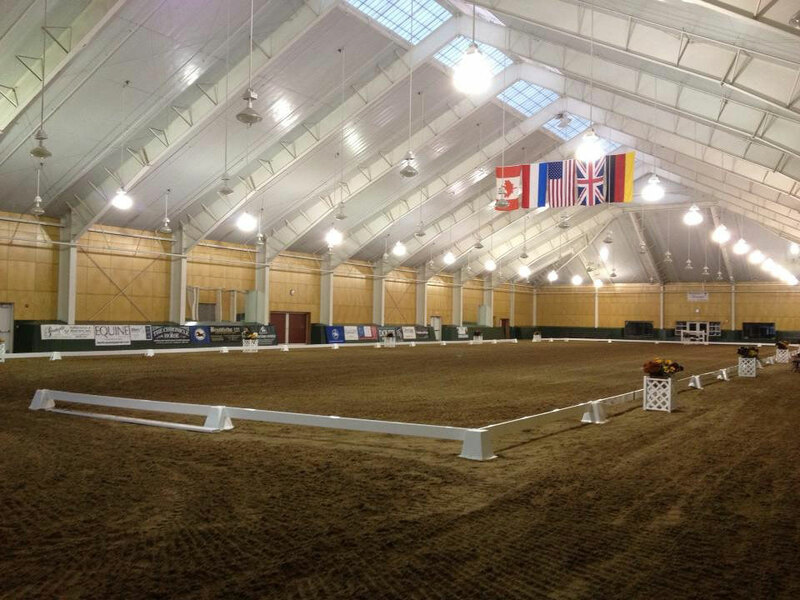 The Equestrian Center’s 260′ x 100′ heated indoor arena is one of the largest of its kind in the United States and can hold a full ring plus seating for 1100 spectators. The outdoor arena measures 250′ x 100′ and is surrounded by expansive views of the surrounding countryside all the way to New Hampshire’s majestic Mt. Washington. The Equestrian Center home to Cabot Morgans, a nationally-known Morgan breeding and training operation. The Morgan horse is the first true American breed based on bloodlines. Born in 1789, Justin Morgan, originally known by the name “Figure” was the founding sire of the Morgan breed. Justin Morgan, based in Vermont, passed along to his offspring a distinct type or breed of horse unique to America. Morgans are reliable, loyal and known for versatility. Rick Lane, Cabot’s Owner/Trainer has trained, bred and shown Morgans for more than 30 years. Cabot is the recipient of the American Morgan Horse Association’s Breeders Hall of Fame, New England Morgan Horse Association’s Hall of Fame and the 2017 AMHA Golden Reins Award. Local, regional and national honors adorn the walls at the Equestrian Center. Rick Lane also manages Maine Event Morgans for owner George Schott. Lane and Schott have been producing World-Titled Morgans for more than 20 years. Maine Event Morgans, also an American Morgan Horse Association’s Breeders Hall of Fame and Maine Morgan Horse Club Hall of Fame recipient, has been recognized at all levels. Cabot and Maine Event Morgans are proud to be Maine-based. Cabot Morgans offers riding and driving instruction for beginner horse enthusiasts or experienced equestrians. The Pineland Equestrian Center is available for events. Facilities include the heated indoor arena (260′ x 100′), outside arena (250′ x 100″), stabling, reception area, banquet room (up to 120 guests) and conference room. 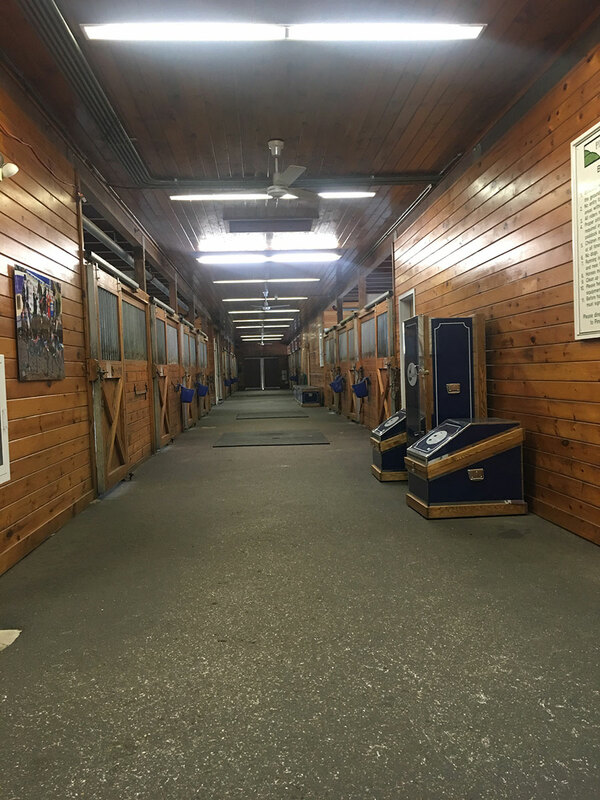 The Equestrian Center offers a unique setting and experience and is available for hosting equine or other related events, clinics, and shows. Contact Cabot Morgans for lesson information and event planning at 207-831-4989.